Methenamine is urinary tract antiseptic used in the prevention of urinary tract infection. In this article, an infectious diseases pharmacist identifies several of the key times when it may be prudent to avoid methenamine use. As a junior faculty member I had the good fortune of being invited to edit part of a pharmacology text book that included a chapter on urinary tract antiseptics and a few paragraphs about methenamine. Most of the drugs in the chapter were nothing new to me, but I recall thinking: “What is methenamine?” After some research and discussion with colleagues it became clear that not many of my peers knew much about methenamine, but it is a very interesting medication. Methenamine is a decades-old drug that you are not likely to find on the “fast movers” shelf at your local community pharmacy. 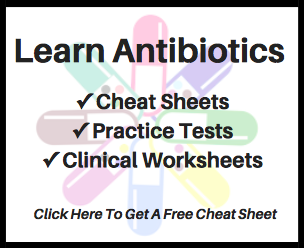 However, the spread of antibiotic-resistant pathogens aka “super bugs” combined with a lean antibiotic development pipeline is causing healthcare providers to look to the past to find therapies for today. In doing so, methenamine may be a drug that pops up on the radar for managing patients at risk for urinary tract infection. As pharmacists and other healthcare professionals encounter methenamine in clinical practice, it will be useful to be aware of pitfalls related to its use. This article is meant to assist with this by identifying several key instances when avoiding methenamine may be prudent. It should be noted that this is not a complete list of all factors to consider. Methenamine is not indicated for treatment of established urinary tract infection. Evidence is lacking supporting it’s use for cystitis and it is not an effective agent for treating pyelonephritis. If you are going to elect to use methenamine, it should be for the purpose of prophylaxis or suppression of urinary tract infection. Take note that life-long prophylaxis or suppression is not always necessary. When you encounter a patient that has been on methenamine for years, it is important to assess whether the benefits of therapy still outweigh the risks of its use. This assessment should include consideration of the following factors. Methenamine has negligible antimicrobial activity, however in an acidic environment it is hydrolyzed to formaldehyde. It is this formaldehyde that exerts an antimicrobial effect and can suppress the growth of microorganisms. One favorable characteristic of formaldehyde is that unlike virtually all current antibiotics, bacteria are not thought to develop resistance to it. It is ideal to acidify the urine to a pH of less than 6, with a common goal of 5.5. To do this many clinicians look to ascorbic acid (vitamin C). Two down sides of using ascorbic are the potential for side effects (e.g., gastrointestinal intolerance) and a greater daily pill burden. Interestingly, Proteus species can raise the pH of urine through urease activity. In turn, achieving an adequate urine pH to produce sufficient formaldehyde concentrations may be challenging and methenamine may be less effective in patients with Proteus species. In order for methenamine to work it has to convert to formaldehyde. This takes time and the rate of conversion increases as the urinary pH decreases. If a patient has an indwelling catheter, continuous bladder drainage will not allow time for formaldehyde production in the bladder sufficient to provide a clinical benefit. Likewise, frequent intermittent catheterization may not allow for achievement of adequate formaldehyde concentrations in the bladder. When methenamine converts to formaldehyde it also releases ammonia molecules. For this reason, it should generally be avoided in patients with hepatic dysfunction. The safety of methenamine in patients with renal dysfunction or severe dehydration is questionable. Manufacturer package inserts for both methenamine products (Hiprex and Urex) identify renal insufficiency, hepatic insufficiency and severe dehydration as contraindications to methenamine use. Concomitant methenamine and sulfonamide use should be avoided, because some sulfonamides can form an insoluble precipitate with formaldehyde in the urine. Methenamine use in patients with gout may increase urate crystal formation in the urine. For this reason, providers are cautioned to consider avoiding methenamine in patients with gout. Methenamine is an interesting medication that many patients could likely benefit from today. As healthcare providers continue to seek out new and old approaches to managing patients with complex medical conditions it will be important to identify when avoiding certain medications is warranted. Hopefully this article will assist in identifying the potential role of methenamine for unique patient case scenarios. Methenamine hippurate for preventing urinary tract infections (2002). Mandell, Douglas, and Bennett’s Principles and Practice of Infectious. Urinary tract agents: nitrofurantoin and methenamine. Chapter 35 (2011). Methenamine: A Forgotten Drug for Preventing Recurrent Urinary Tract Infection in a Multidrug Resistance Era (2014). Drug therapy reviews: methenamine mandelate and methenamine hippurate (1979).